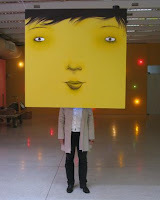 Vertigo is a new exhibition of interactive installations from Brazilian street artists, Os Gemeos. The twins' exhibition opened two days ago, March 24th 2009 at CCBB Rio De Janerio. Also included are the now familiar figure paintings. 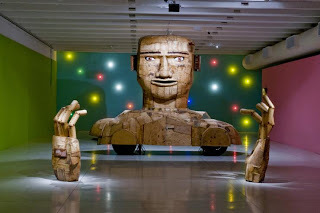 The exhibition runs to May 24, 2009. Examples from Vertigo after the jump.